NOTE: This is an unfinished map. I got this map from the creator himself who hosted it and didn't bother to put his name on his map. First played with him on 1/5/2018, then last played was 1/7/2018. 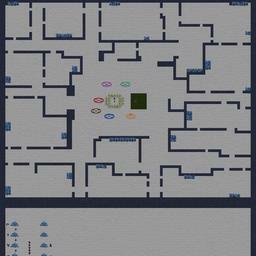 He may have made a later version on 1/8/2018, but after that I never saw him and this map again. Also I had to go back to university late January, so I may have missed a later version. Let me know if there is a finished or later version out there, cuz i want it too! No one has posted a comment for Cat & Mouse Beta yet.